For any food lover, the prospect of cooking in a small kitchen hurts. It hurts your heart and, more importantly, your stomach. So, what do you do when your kitchen has no space to cook that three-course dinner? Make space! 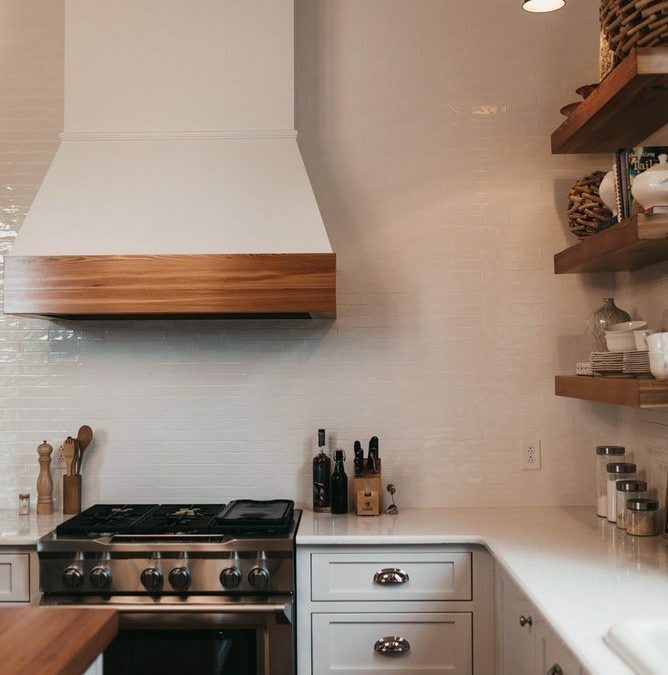 It’s not always easy, but with a few quick changes and a bit of time, money and energy, you could make your small kitchen an enjoyable room to cook in. So, where do you start? One of the most underutilized parts of a kitchen is the wall(s). In cramped quarters, every square metre counts. Your counter space is precious, so you need to avoid stacking or storing anything on it. Instead, look to the wall. A great space-saving tactic is hanging things up on the wall. We’re not even talking about installing a mounted shelf, although that’s a great idea too. Instead, think magnetic blocks for your knives, hooks for hanging pots and cooking utensils, and mounted drying racks. If you’re feeling really creative, try installing a small bathroom rod rather than hooks so you can hang your pots and pans. Your first thought in a small kitchen is to avoid stacking in cupboards if at all possible. If you can, try and opt for drawers instead of doors. A traditional cupboard doesn’t allow easy access to everything you need. While you’re rummaging for that cheese grater in the back, other things get knocked out of place, and it ends up looking like a mess. Drawers help you utilize more space under the counter while looking chic and organized. However, if ridding yourself of cupboards isn’t an option, don’t leave the backs of those doors untouched. You can add small racks (ie. spice racks) to the inside of these doors for a little extra storage space. This might seem insignificant, but heavy or clunky drawer handles are contributing to your cramped kitchen. Not only does it make your kitchen look small, but your clothes are likely catching on door handles every time you move around. Keep the look of your kitchen streamlined and find slim or inset knobs for your drawers. If your blender is taking up half your counter space, it’s time to you let it go. Donate or sell it and look for appliances that are more compact. This doesn’t just go for electric appliances you put on the counter or in your cupboards. Even your stove tops can be gas without taking up your whole kitchen. Stop piling equipment on top of one another and look for pieces that are small but powerful. Big doesn’t always mean better! A kitchen should be a place you enjoy spending time in, big or small. While you may not be able to spend your day hanging out at a kitchen counter, your small kitchen can still be a place where you relish making a meal.